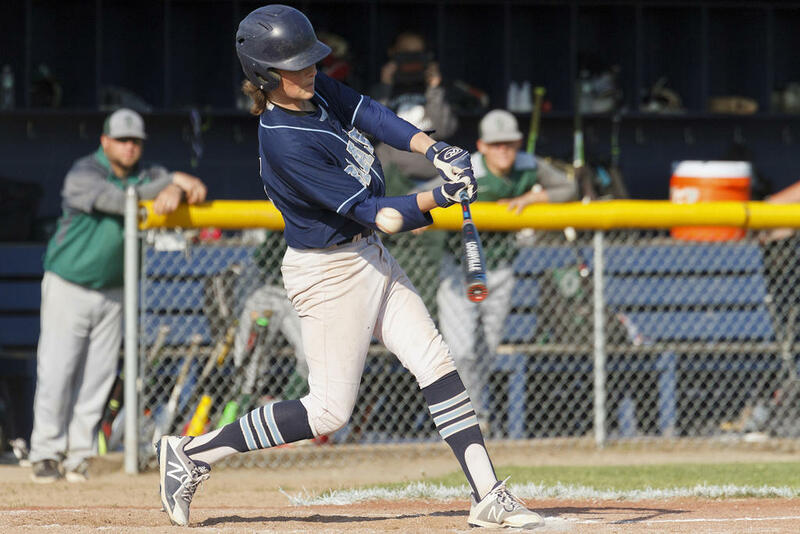 WESTBROOK—Once the Scots picked up a little steam vs. the Blazes on Thursday afternoon, May 24 – Ethan Hamilton scored the team’s first run in the top of the second – they kicked things into high gear, hashing six in the third and pulling away. 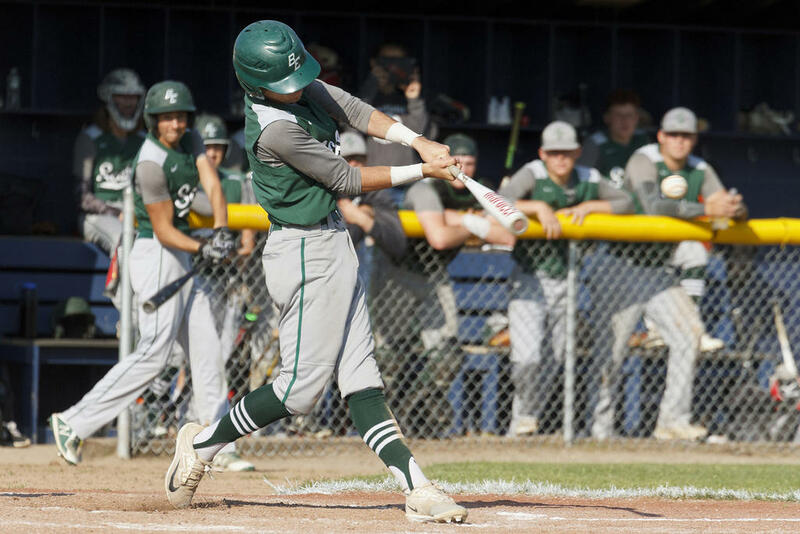 Hamilton, Casey Maturo and Will Whyte led Bonny Eagle’s offense, going 2-5 each, and Khyler Hart turned in a strong relief effort on the mound. 9-2 the final. The first two Scots to step into the batter’s box, Whyte and Maturo, grounded out, but the next three – Christian Napolitano, Arlo Pike and Connor Sirois – all reached base. Only Pike reached on a hit, though, a single into center; Napolitano gained first after wearing a pitch and Sirois on balls. Westbrook escaped the danger, catching Bonny Eagler Jackson Bean on another ground-out, this one toward third. The Blazes, however, fared no better in their initial ups: Justin Copetta walked on to begin the bottom of the first, but then Brandt Herbert struck out, Kyle Champange flew out and Liam Cooledge grounded out. 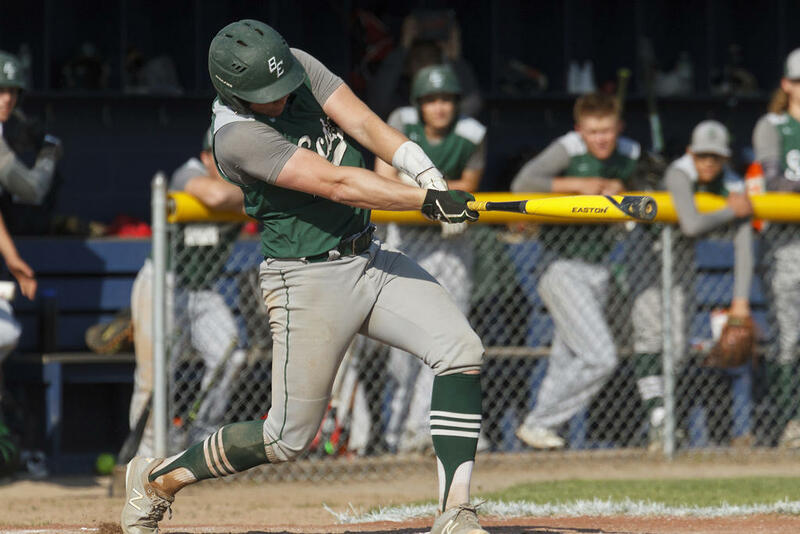 In the top of the second, the Scots cracked their knuckles: Hamilton walked onto base, advanced 90 feet on a Tyler Fitz groundout to second, stole third during Jake Humphrey’s at-bat and returned home when Humphrey grounded out to short. 1-0. Westbrook recouped that run in the bottom of the second. Matt Eugley walked to kick things off, then moved to second on a wild pitch during Destin Delponte’s at-bat. 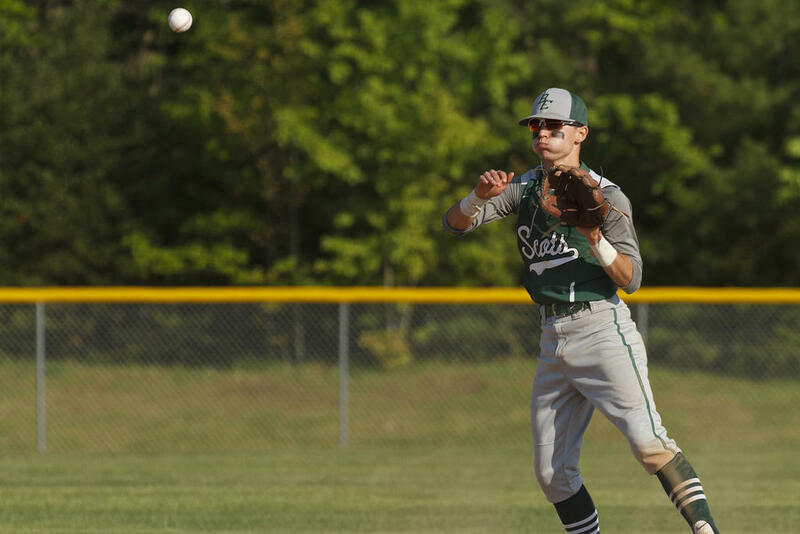 When Delponte trickled a grounder toward Bonny Eagle starting pitcher Connor Sirois, Sirois tried to catch Eugley at third, but overthrew the ball, allowing Eugley to dash all the way home. 1-1. Come the top of the third, the Scots broke away. Casey Maturo began the push with a single drive to right. Napolitano knocked a short grounder to Eugley, on the mound for Westbrook, and Eugley tried to catch Maturo at second. Eugley’s throw, though, proved bad, and Maturo made it all the way to third, while Napolitano stopped at first. Pike next laid down an infield grounder as well; Blazes second baseman Lucas Knapton tagged Napolitano on the run, then tried to whip the ball to first – but too late: Pike reached safely. Moreover, Maturo scored. 2-1. Sirois singled into wide right, shuffling Pike forward; Hamilton singled, scoring Pike and pushing Sirois ahead: Bonny Eagle had found a groove. Fitz kept things rolling, smashing a two-RBI double into deep center before scoring himself on a Humphrey single into right. Humphrey scooted to second on a wild pitch during Whyte’s next at-bat, and rounded to home when Whyte blasted a triple to deep left. 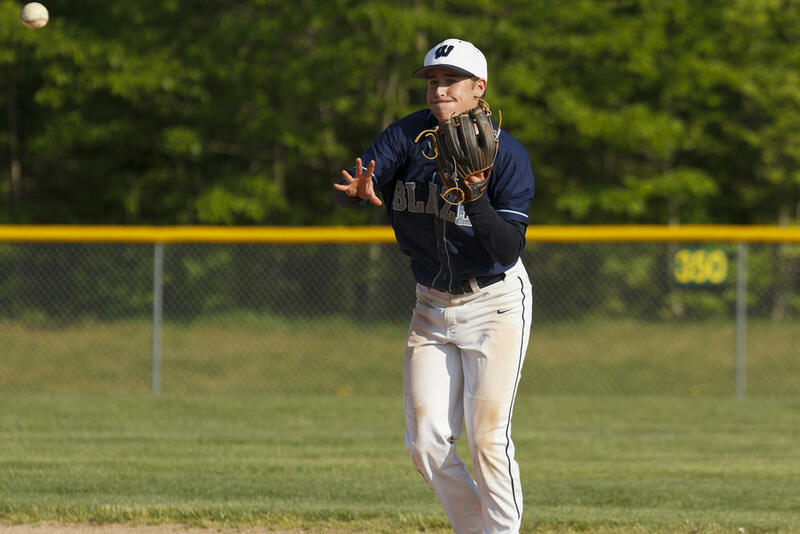 That’s where Westbrook managed to stanch the bleeding: Whyte never reached home, as Maturo lofted an easy infield fly for Knapton to grab and end the inning. But Bonny Eagle had done significant damage – more than they would need to do – and the Blazes never recovered. 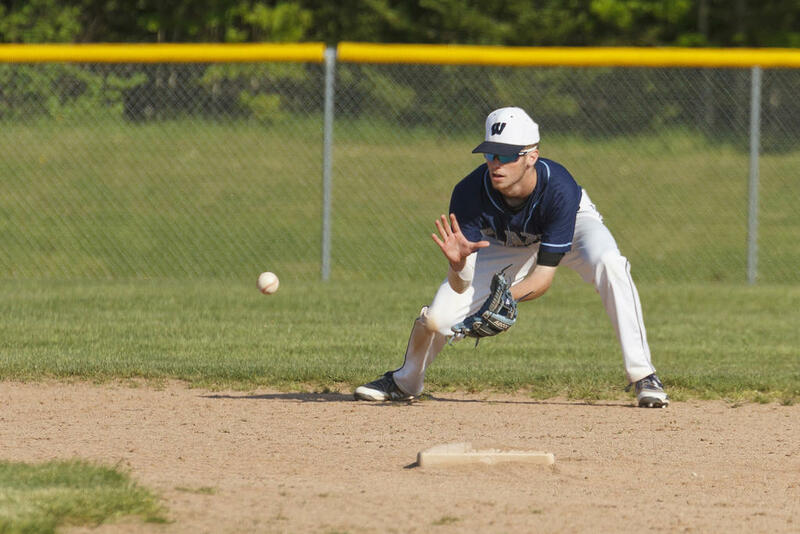 Humphrey wasn’t the only contributor to a double-play: Hamilton snagged a Copetta drive in the second, the snapped the ball to shortstop Jackson Bean to catch Jack Stone on the run toward third. In the sixth, Humphrey sparked a 5-4-3, catching Stone on his way to second and Caden Dow on his way to first. The Scots tallied two more before the end: Hamilton scored in the fifth and Whyte in the seventh; meanwhile, Champagne scored in the fifth for Westbrook. Bonny Eagle’s big inning had secured them a W, 9-2. As mentioned, Sirois started on the mound for the Scots. Eugley did so for the Blazes – though, both boys checked out after a couple innings: Hart replaced Sirois in the third, and Delponte took over for Eugley in the fourth. Bonny Eagle jumped to 6-8 on the win. 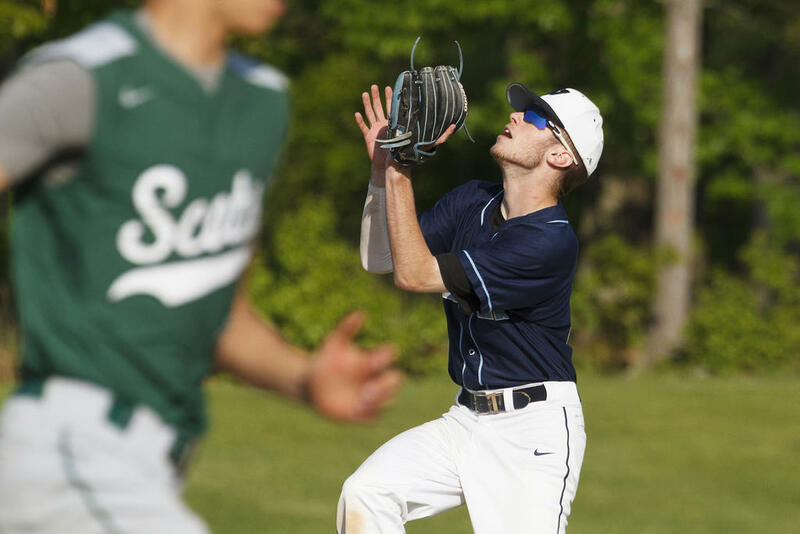 The Scots started strong this season, picking up wins over Scarborough (currently ranked 10th, at 6-9), South Portland (currently first, at 12-2), Sanford (14th, 5-8) and Massabesic (16th, 2-12). That’s when they hit a mid-season skid, however, and dropped six straight. 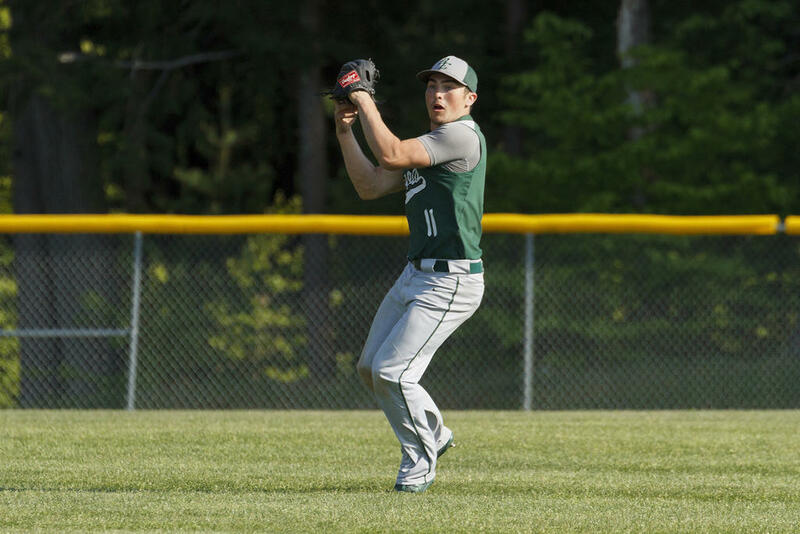 They recently snapped their ugly streak with a victory over Marshwood (seventh, 8-6); now they’ll look to build a bit of oomph as playoffs approach. “Going forward, hopefully we’re clicking at the right time,” he said. 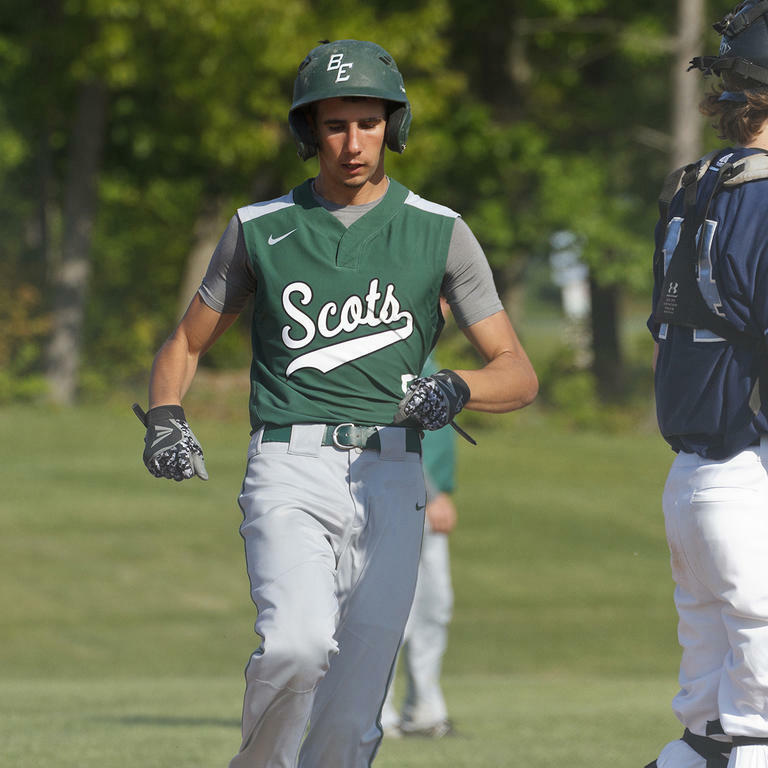 The Scots succumbed 8-7 to Deering on Saturday the 25th. As Bonny Eagle was in 12th at the time, and the Rams in 13th, the teams then switched places in the standings. Only the top dozen outfits reach the playoffs, so the Scots desperately need a win vs. highly-ranked Portland, their last regular-season opponent. BE travels to the Bulldogs on Tuesday the 29th. For their part, the Blazes have struggled this year. Currently 1-14, their postseason prospects look grim – worse than grim. It’s hard to say Westbrook has played terribly this spring. The team’s turned in numerous close contests, after all, losing by just two to Kennebunk and by just one to Noble. Most impressively, they played No. 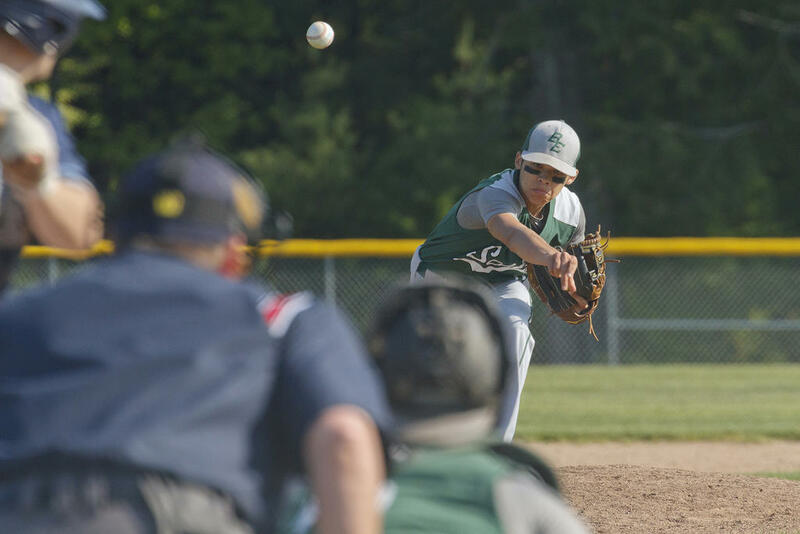 2 Gorham to a 6-5 extra-innings loss on Monday the 21st. Jake Humphrey hurls from third to first. BE second baseman Ethan Hamilton blasts a ball toward first. Westbrooker Max Dobkowski fouls off a pitch. 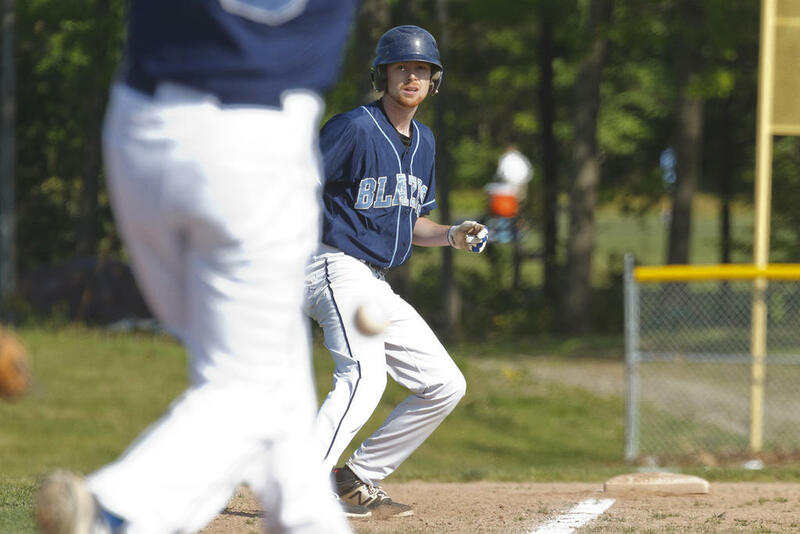 Blazes second baseman Lucas Knapton fires a ball over to first. Ethan Hamilton connects at the plate for BE. 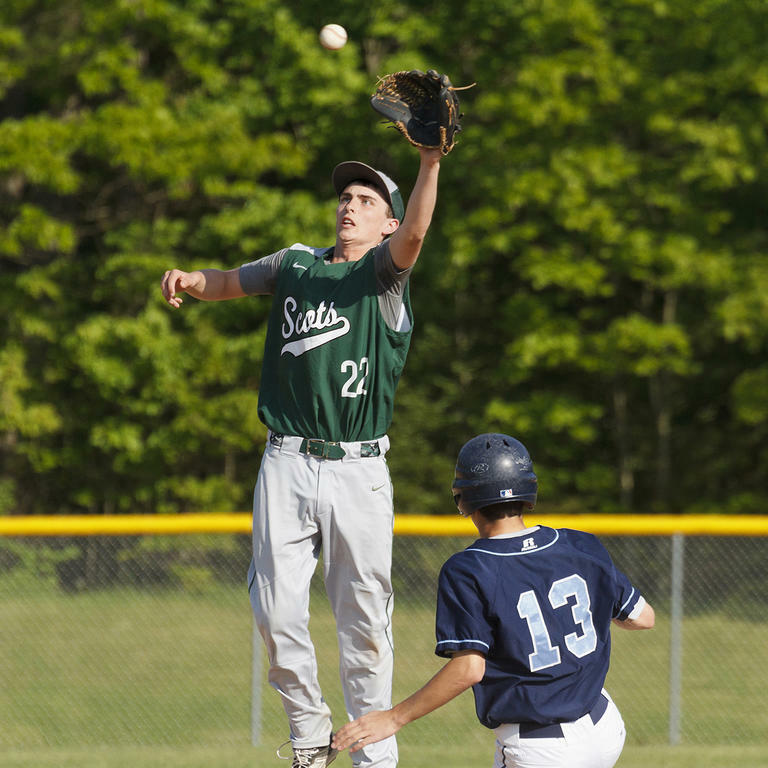 Bonny Eagle shortstop Jackson Bean leaps after a high throw as a Westbrooker slides for second. 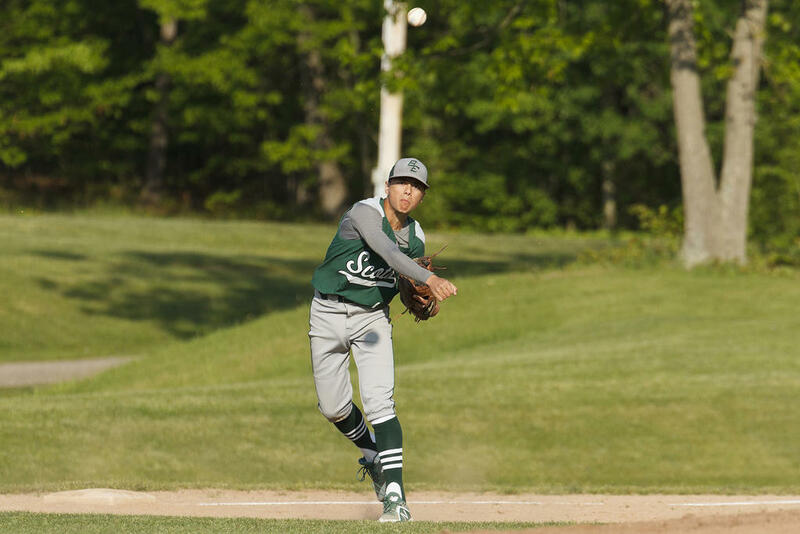 Bonny Eagle centerfielder Will Whyte readies a throw to the infield. Scot Christian Napolitano takes a cut at the plate. Tyler Fitz arrives home for the Scots. Blazes shortstop Justin Coppeta leans into a grounder. 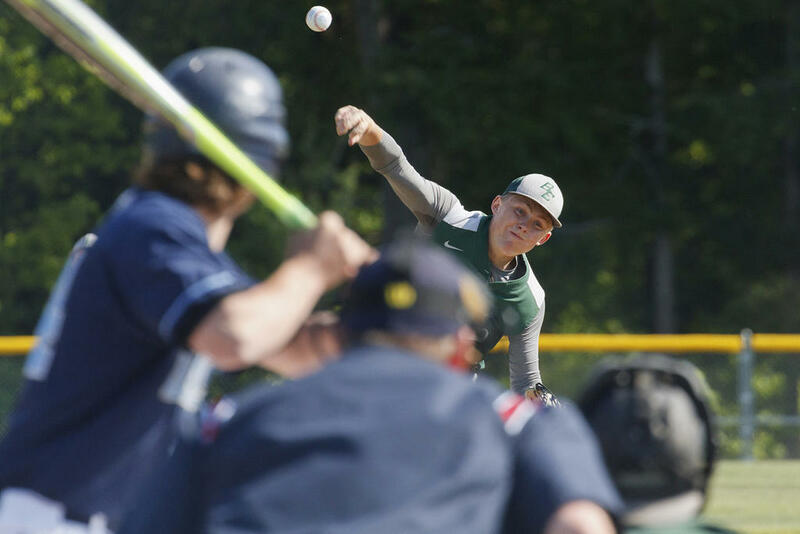 Khyler Hart pitched the majority of Bonny Eagle’s game – and led his boys to a big W.
Destin Delponte leads off third for the Blazes, while at home plate a teammate takes a cut. 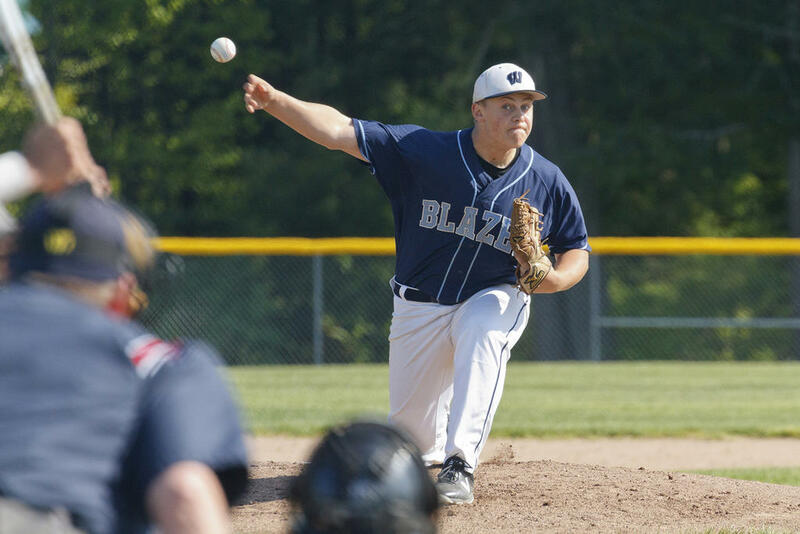 Matt Eugley started at pitcher for the Blazes. Connor Sirois started on the mound for Bonny Eagle at Westbrook. Blaze Justin Coppeta gets beneath an infield fly as an ill-fated Bonny Eagle runner makes for first.